Brown Cinnabar Beads--Brown cinnabar beads are one of our customers' favorites. Each of our cinnabar beads is hand-carved with intricate designs, representing various symbols or images found in nature such as birds, trees, flowers and etc. The workmanship is unique! 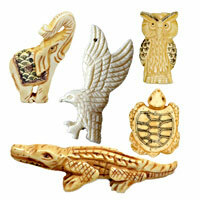 They are available in a variety of designs and colors to satisfy your needs. 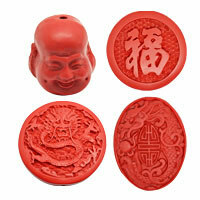 Wholesale our exquisite cinnabar beads today! NOTE: Our Min. order is for each color each size. Chinabeads accept OEM/special orders.